Celebrity styles are really important when it comes to hairstyle trends. So we have collected our favorite images of Latest Celebrity Bob Hairstyles to Copy! Bob hairstyles are extremely in trends and many celebs give up their long locks for bobs! Here is a short bob hairstyle of Natalie Imbruglia, side swept bangs definitely frames her face and eyes. Miranda Kerr sport a really gorgeous bob hairstyle with highlights and soft curls. 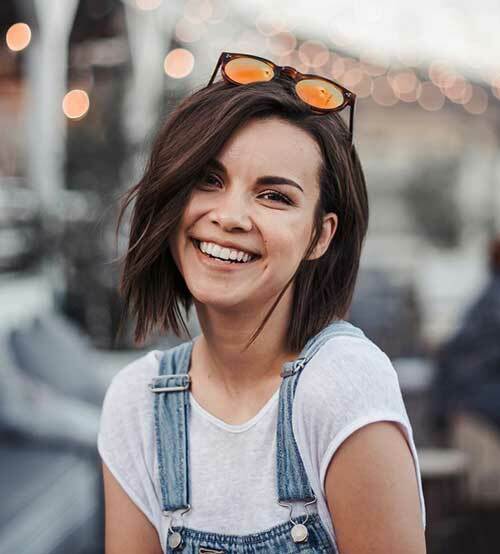 Here is a layered bob hairstyle that is perfect for casual looks and street style. Wanna change your look completely? Here is a way to do it: platinum blonde bob hair! 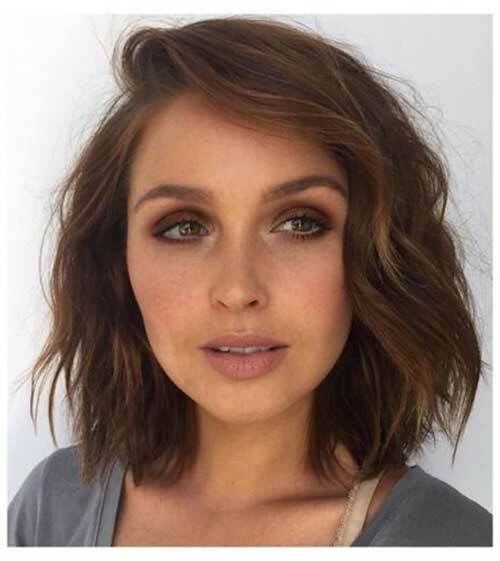 Choppy layers and messy waves will give a really nice texture and volume to bob hairstyles. Cara Delevinge has finally chop off her long locks and nowadays she sports trendy long bob hair! Ombre bob hair is really popular among women this year, if you have thick hair Rose Byrne’s bob would be a nice inspiration for you. 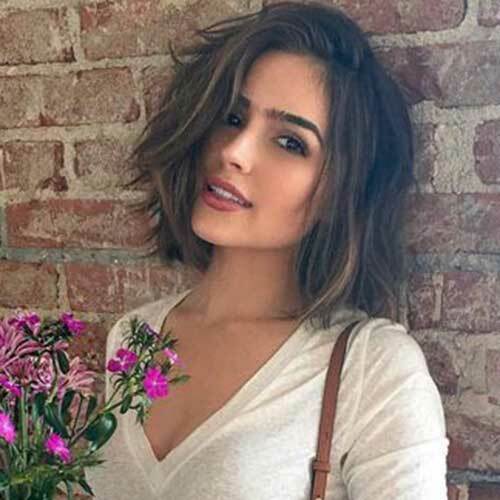 Those gorgeous waves and highlights add a really nice touch to her layered bob hairstyle. Golder blonde hair color and layered short hairstyle is perfect for mature women with oval face. Her copper brown hair color really emphasize her gorgeous face and brown eyes. Here is Miranda Kerr’s simple yet elegant angled bob hairstyle with blonde highlights. If you have thick hair and blonde hair color this is the guide for you to get a blunt bob. 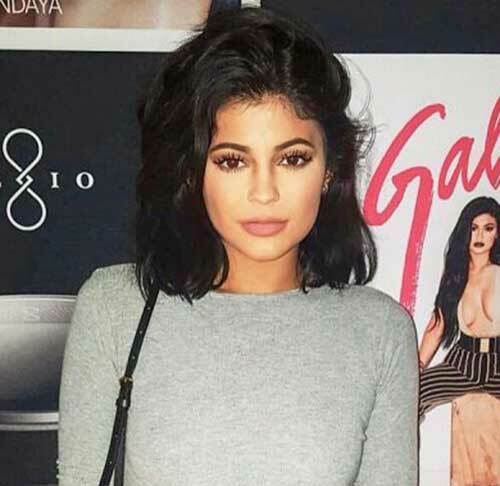 Kylie Jenner’s dark messy bob is her signature, this hairstyle emphasize her eyes and bold lips. Kristen Stewart looks really different with her platinum blonde bob hairstyle. Here is an elegant look for special event, Lily Collins sports Hollywood curls with her chocolate brown bob. Beach waves and messy look is extremely in trends perfect for summer and fall. 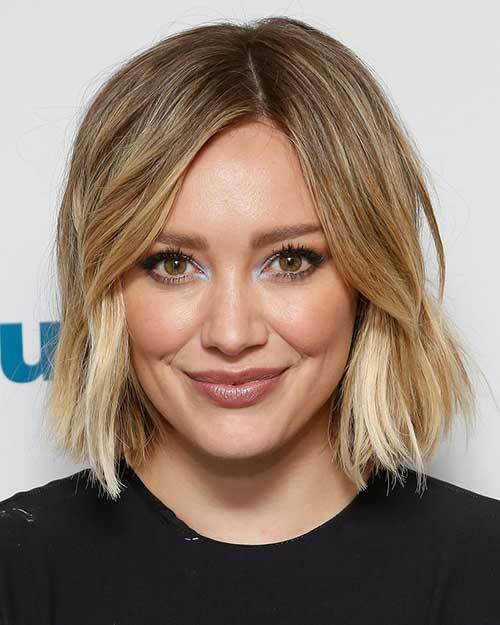 Here is a side parted ombre blonde bob hairstyle of Hilary Duff. Messy,wavy bob is the most preferred hairstyle for ladies of all ages.